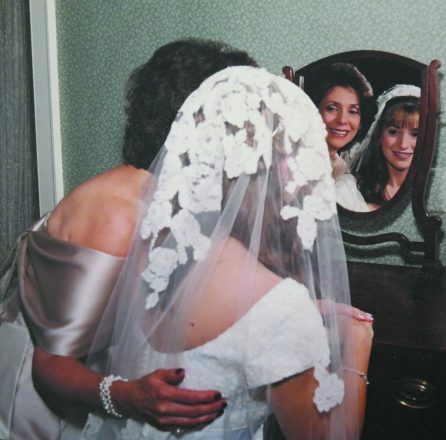 At her wedding, Julie Bass Sidder wore her mother’s veil — made by the same lace designer who created the lace on the bodice of her own dress. 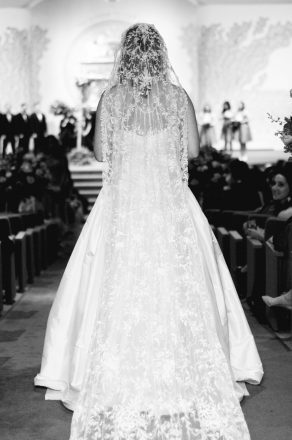 Amy Brody’s 10-foot Belgian-lace veil was worn by the bride’s grandmother. The custom of “something borrowed” is not a Jewish one. Its origins lie in a 19th-century Old English poem: Something Olde, Something New, Something Borrowed, Something Blue, A Sixpence in your Shoe. 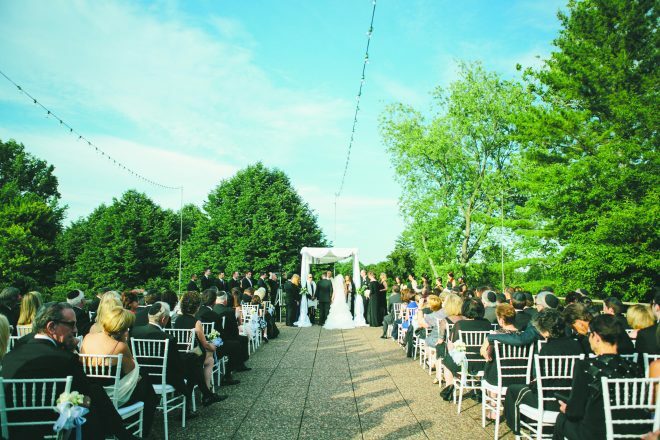 Sharon and Alex Minkin’s grandfathers’ tallitot were sewn together to create the chuppah. — from generation to generation — when carefully selecting the most meaningful objects to use in their ceremonies. From heirloom veils and handkerchiefs and chuppot sewn from lace tablecloths that adorned Shabbat tables from generations past to Kiddush cups used to bless the wine by fathers and grandfathers, memories of the past are reflected in these borrowed objects as the couple look to their own future of carrying on Jewish customs. Another popular borrowed item is using the same gold ring worn by other close relatives, if only for the ceremony. Though brides can later wear a wedding band that is engraved or jeweled, the ceremonial band according to Kabbalah and Jewish tradition should be an uninterrupted and unadorned gold band. Julie Bass Sidder of West Bloomfield wears a jeweled eternity wedding band; but for her wedding ceremony, she wore her grandfather’s band. “At the last minute, my grandfather, who is now 102, offered me his own ring for the ceremony because I could not use my eternity band,” Sidder said. 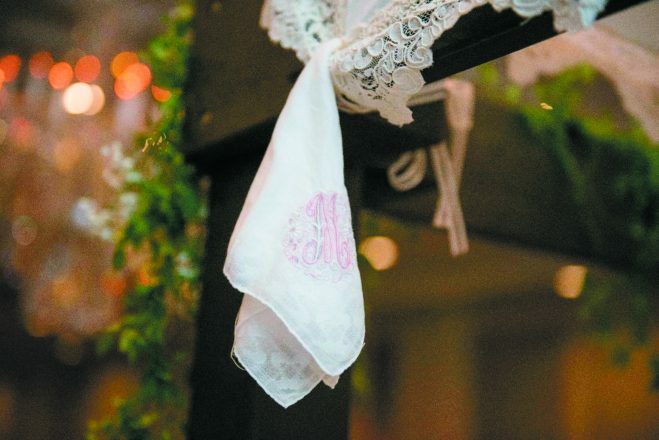 She also wrapped her grandmother’s monogrammed handkerchief around her bouquet and wore her mother’s veil — made by the same lace designer who created the lace on the bodice of her own dress. 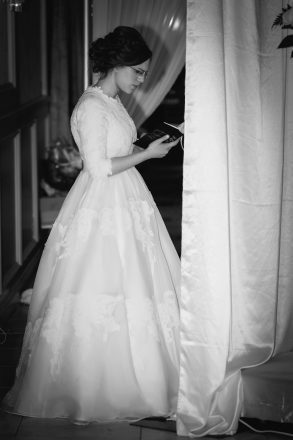 Though the veil was somewhat discolored, it matched the off-white lace on her dress perfectly. community can do is to lavish upon a bride and groom on their wedding day and provide for a feast and a joyous day if the couple and their family cannot provide for themselves. Mushky Dubvov had the honor of borrowing a siddur used by the late Rebbe Menachem Schneerson in her wedding to Rabbi Levi Dubvov. When Dubvov and his wife, Mushky, married almost three years ago, they had the honor of borrowing a siddur used by the late Rebbe Menachem Schneerson for their ceremony. Marla and Vince Sallan were married under a chuppah made from her grandmothers’ monogrammed handkerchiefs and other lacy heirlooms. Marla and Vince Sallan of Berkley wished to use elements from their Jewish and Chaldean cultures when they wed a year ago. 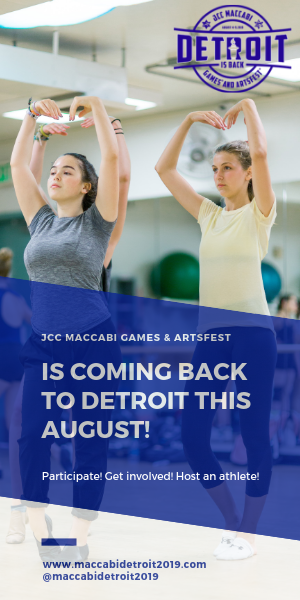 Though they did not marry in a house of worship, Marla wanted to be married underneath a chuppah, according to her mother, Amy Saidman Sternberg of West Bloomfield. The family created a chuppah from the tablecloths from the bride’s great-great-great-grandmother, monogrammed handkerchiefs from all her grandmothers, as well as lace from Sternberg’s own wedding dress. 25th wedding anniversary. All women in her family have been married with the gold band on her finger. When Sara and Andrew Craig of Beverly Hills wed last March, the couple used her late father’s tallit and draped it over both their shoulders as Rabbi Dan Syme of Temple Beth El sang the Shevah Brachot (Seven Blessings). They also drank wine from the same Kiddush cup he used on Friday nights. 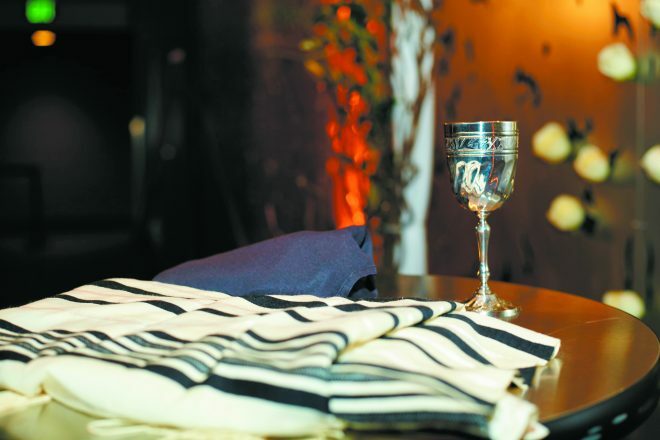 Sara Craig’s late father’s tallit and Kiddush cup were used in her wedding. To also preserve the memories of her loved ones on her wedding day, Sharon Minkin of Bloomfield Hills incorporated into her bouquet her grandmother’s favorite necklace and her biological father’s dog tags that he wore in Vietnam. She wore an heirloom watch from her other grandmother. 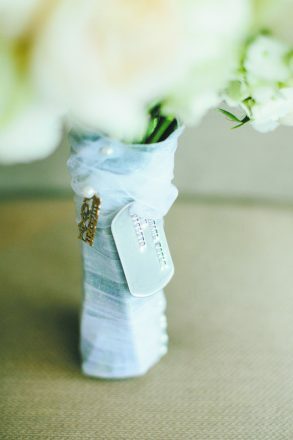 Sharon Minkin’s grandmother’s favorite necklace and her biological father’s dog tags were incorporated into her bouquet at her wedding to Alex Minkin. Sharon and her husband, Alex, were wed under a chuppah sewn with their grandfathers’ tallitot and they blessed and drank the wine from Alex’s grandfather’s Kiddush cup.